In this week’s Hungarian Politics podcast, we have a look at the so-called Brexit vote, the United Kingdom’s referendum on leaving the European Union, and examine its possible effects on Hungary. We have two excellent guests this week with extensive knowledge of the European Union and are able to break down this topic for us, although we spoke with both of them before Thursday’s historic vote. 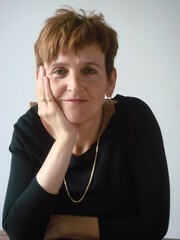 Our first guest is Katalin Halmai, the Brussels correspondent for Hungarian daily Népszabadság. Halmai tells about the unusual advertisement taken out by the Hungarian government about the Brexit vote and what its purpose might have been, and also discusses some of the implications of the UK’s departure from the EU on Hungary. 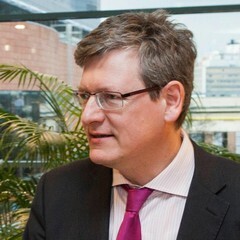 We then speak with László Andor, who was EU Commissioner from Hungary between 2010-2014, and is now the head of the Department of Economic Policy at the Corvinus University of Budapest. Prof. Andor gives us added insight into the likely repercussions of Britain exiting the European Union. We examine how this is likely to affect Hungarians living, working and studying in the UK, as well as the lasting economic impact on Hungary. And why not follow us as well on Twitter? We’re at @nelsonstevend Also, if you enjoy the show, please leave a review on iTunes. You can listen to the show in the player at the top of this post, or download the file to your local drive. Thanks for listening! We’re bringing out the big guns for this week on the Hungarian Politics podcast! There was a by-election in the town of Dunaújváros on June 5 that resulted in a victory by the ruling Fidesz party, and we were lucky enough to get to speak with Lajos Bokros about it. Bokros is the former Finance Minister under the Horn government who introduced a package of financial reforms in 1995 that stabilized the Hungarian economy and put it on a path for future growth. In 2009, he became a European Parliamentarian, and in 2013 he started his own political party, the Movement for a Modern Hungary (MoMa). In addition to the Dunaújváros election, we asked Bokros to tell us about the legacy of the 1995 stabilization package that he is still strongly associated with, why he re-entered Hungarian politics, how his party differs from other political parties in Hungary, and what the opposition needs to do to get into power. 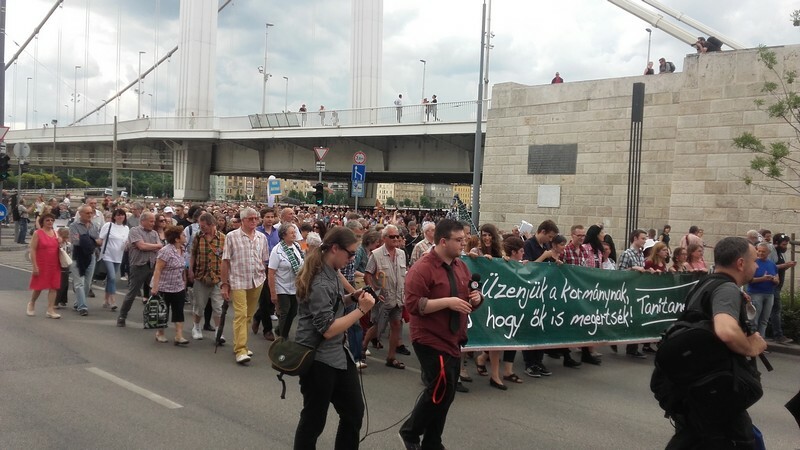 We then visited a protest organized by the Tanítanék movement in Budapest on June 11. 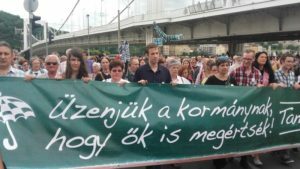 Tanítanék is composed of educators and their supports around Hungary who want to promote changes in the Hungarian educational system. They marched from the Pest side to the Buda side and handed out symbolic “report cards” to the government for their work on education. 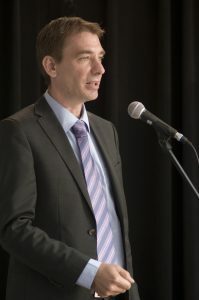 At the event, we managed to snag a short Hungarian-language interview with Gyula Molnár, a leading politician with the Hungarian Socialist Party (MSZP) and former mayor of Budapest’s District XI, who is currently running to lead the party as its head. 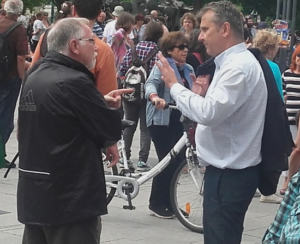 Molnár told us why he was there at the protest, what steps the MSZP should take in the area of education, and what changes he would implement in the party if he is elected as its leader. 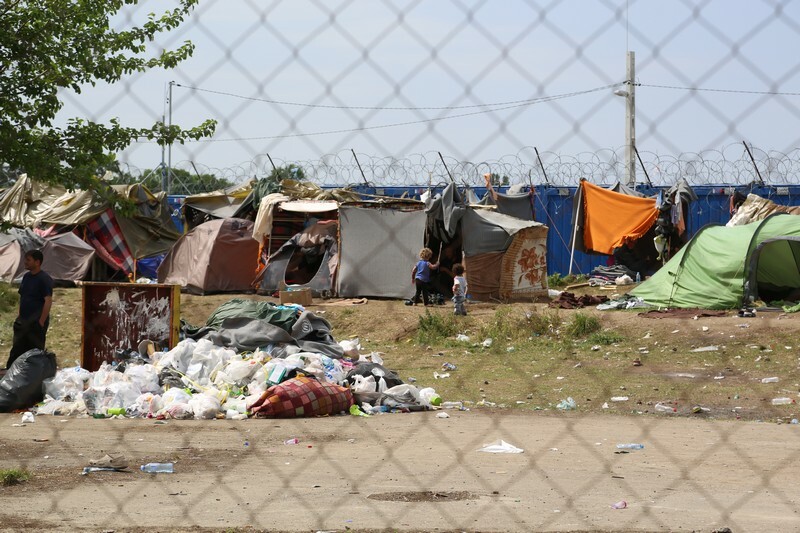 This week on the Hungarian Politics podcast, we take a detailed look at the refugee situation on Hungary’s southern border by talking to two people closely involved with this issue. Refugees from war-torn countries like Syria, Iraq, and Afghanistan have been making their way to the borders of the European Union in large numbers for over a year now, and many of those fleeing hostilities in their own countries have attempted to enter the EU through the Hungary. In September 2015 Hungary set up two so-called “transit zones” next to the Serbian border, near the towns of Röszke and Tompa, to help process and accommodate the rush of asylum seekers into the country. And while nowadays perhaps fewer people are attempting to enter the EU as in previous months, there are still large numbers of people who arrive to these transit zones on a daily basis. What is the situation like at these places? What happens to asylum seekers once they arrive and attempt to enter Hungary? What should the Hungarian government do, if anything, to help relieve the situation? And what role is Hungarian domestic politics playing in this matter? We discuss these issues in the podcast with our two guests. 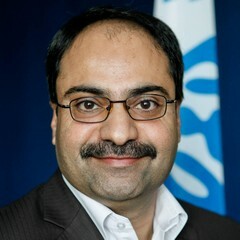 The first is Babar Baloch, the Spokesperson for the UNHCR in Central Europe, who is based here in Budapest. Baloch informs us of the work that the UN’s refugee agency is engaged in and how he feels Hungary can improve the current refugee situation. 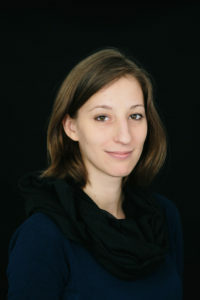 We then speak with Hélène Bienvenu, a freelance journalist who writes for English and French-language publications like The New York Times, La Croix, and Le Figaro. Bienvenu is a Budapest resident who has been to the transit zones several times, most recently at the end of the May, and was also there last September when violent conflict broke out between a group of refugees and Hungarian special forces. Bienvenu tells us of her fascinating experiences at the transit zones, and the stories of some of the people she has met there while reporting. 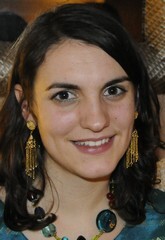 You can follow Babar Baloch on Twitter @iBabarBaloch, and Hélène Bienvenu @bienvenuLN. Listen to the show in the player at the top of this post, or download the file to your local drive. Thanks for listening! We’ve got a great show on the Hungarian Politics podcast this week, despite the fact that our host Steven still has a somewhat weak voice! Well, we hope you’ll enjoy the show anyway! The big news in politics this past week was the unexpected decision on Tuesday by András Schiffer, founder and head of opposition party LMP, to step down from the leadership of the party and leave his seat in Parliament. 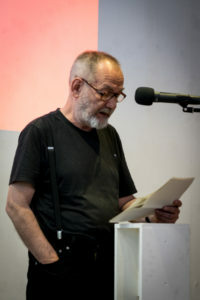 The noted writer and philosopher Gáspár Miklós Tamás penned an eloquent opinion piece in HVG.hu (Hungarian link) on Tuesday that reflected on Schiffer’s political legacy and the future of the political opposition in Hungary. Hungarian Politics caught up with Tamás and asked him to tell us more about why he believes András Schiffer was the best Parliamentarian in Hungary. He also discusses some areas where he was in disagreement with Schiffer, and whether LMP even has a future without its founder. We then examine the issue of the foundations set up by the National Bank of Hungary (MNB). This is a complex story with several different aspects and is developing practically on a weekly basis, but fortunately we managed to get Brussels-based Hungarian journalist Blanka Zöldi, who has been writing about the MNB’s foundations, to break down this story for us in a clear and understandable way. Zöldi informs us of the reason why these foundations were set up, the criticism leveled at the MNB and its governor, György Matolcsy, and why the public hasn’t yet become outraged about this issue. Finally, Zöldi gives us her assessment as to how this story might play out in the 2018 election campaign. This week on the Hungarian Politics podcast, we commemorate the 10-year anniversary of Socialist Prime Minister Ferenc Gyurcsány’s delivery of the infamous “Őszöd speech” to his fellow party members, following their successful re-election in 2006. 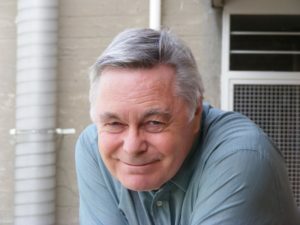 Longtime journalist and observer of political affairs Kester Eddy joins us to talk about the long shadow that the Őszöd speech has had over Hungarian politics during the past decade and its devastating effect on the Hungarian left wing. He also gives us his opinion on the political future of Ferenc Gyurcsány, who is still active in politics. 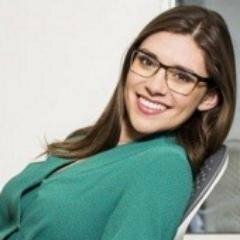 In the second half of the program, we are joined by Tara Palmeri, a journalist and columnist for Politico Europe. We discuss an article that Palmeri wrote on May 13, “‘Hungarian? Who, me?’: Confessions of Brussels Pariahs”. Palmeri’s article examines the difficulties that Hungary and its bureaucrats face in implementing the country’s interests in Brussels, primarily due to antipathy in the EU towards the current Hungarian government’s policies and positions. Palmeri tells us about the background to this story, whether some EU members privately support the Hungarian position even though they may publicly lambast it, and finally offers some advice on how Hungary can improve its standing in Brussels. She also comments on the official Hungarian government’s response to the article by spokesperson Zoltán Kovács. You can follow Tara Palmeri on Twitter @tarapalmeri. 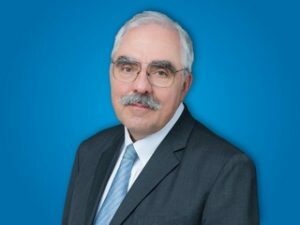 Hungarian Politics welcomes Benedek Jávor, Member of the European Parliament from the Dialogue for Hungary opposition party (known by its Hungarian initials PM), for the inaugural edition of the program. Jávor joins us for a discussion on the planned expansion of the nuclear power plant in Paks, Hungary by the Fidesz government, and tells us why he and his party are so adamantly opposed to these plans. Listen to the interview above, or download the file to your local drive. Thanks for listening!